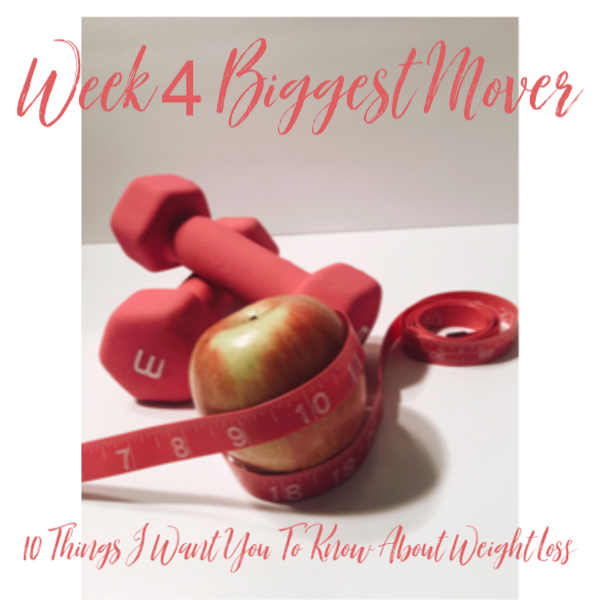 As you lose weight your metabolism changes so calories in vs. calories out don’t hold up. This one may seem obvious but if you look at the one thing each and every diet has in common…it’s veggies! There have been many studies that support the consumption of carbohydrates for slimming down, showing those who ate grains were less likely to be overweight! I believe weight loss is 80% what you eat and 20% workout. Although exercise has endless amounts of benefits we tend to overestimate how many calories we actually burn while exercising. I’m not saying to pass on fitness in any way! I am a fitness instructor and I believe it has many mental and physical benefits. I am just saying that if you are killing it in the workout department, in order to eat that cookie, you may need to rethink your strategy. Remember, it is more about what you put in than what you are burning off. Your scale allows you to recognize when you are going in the wrong direction, but that doesn’t mean you should be afraid of it, or obsess over it. I recommend my clients check in on the scale either weekly, or monthly NOT daily! Don’t focus on weight loss in order to look like someone else because fact of the matter is you are not someone else, you are YOU! Your ideal weight is going to be completely different from someone else’s ideal weight and there are several factors that play a role in that. Height, overall health, muscle and more! There are so many great benefits from losing just 5 percent of your weight so consider aiming for this goal, and then take it from there. Weight loss isn’t easy, if it was everyone would be the size they wanted to be, and I would be out of a job (LOL). It takes time and effort but after a while it will become second nature. I always recommend my clients to start with small, yet achievable goals…each month making small additions or changes. This not only gives my clients satisfaction from accomplishing these small goals, but it also gets you ready to tackle the next one. Each small success will add up over time, just be patient, don’t expect results overnight. Work hard, stay focused and results will come! 8. HIT THE RESET BUTTON! Especially after the holidays, the majority of my clients tell me they are disappointed in themselves in one way or another. This is heartbreaking to hear as a Nutritionist. The amount of stress and pressure I hear clients put on themselves is discouraging. When starting a weight loss journey it is never about if you have a set-back, it is about WHEN you have a set-back. Hitting the reset button is what weight loss and healthy living is all about…you make a bad choice, okay that’s fine, now let’s learn from it, reset and keep moving toward your goal! I would rather you hit the reset button than give up on yourself and your ultimate goal. So go ahead and HIT IT! That says it all! Continue to practice, continue to manage eating behaviors and habits, continue to workout! It does not matter how many times you have tried to lose weight in the past, what matters is the effort you are putting in now. There is still hope and I am here to help! Stop being so hard on yourself. Lots of times when I am meeting with clients they are disappointed when they tell me about eating a cookie or treat of some sort. What do I have to say about it…GIVE YOURSELF A BREAK! Weight loss doesn’t mean depriving yourself of everything you love to eat, it means each of the 9 things I have listed above. So, give yourself that break, you deserve it!